Scott Vanderweele, General Manager of Try Hours, shares some insight into the company. Tell us a little bit about yourself and the role you play at Try Hours. I’m responsible for all day-to-day items, reporting directly to Ownership. Give us a little history about Try Hours. Try Hours is a mid-sized family owned expediting company located in Northwest Ohio that has been around for 26 years. We originally started out as more of a regional ground carrier, but have since expanded to all lower 48 states as well as Canada and Mexico. Try Hours is also known for handling special services including air charters, flat-bed and small-package air freight. What industry organizations is Try Hours affiliated with? Try Hours is a proud sponsor of several Charitable Organizations, helping many in need in NW Ohio/SE Michigan, as well as many others Nationwide. We participate in Wreaths Across America, The Wounded Warrior Project. Try Hours is also an active member of TEANA (The Expedite Association of North America) and the AEMCA. Try Hours appears to offer several trucking services. Tell us about that. 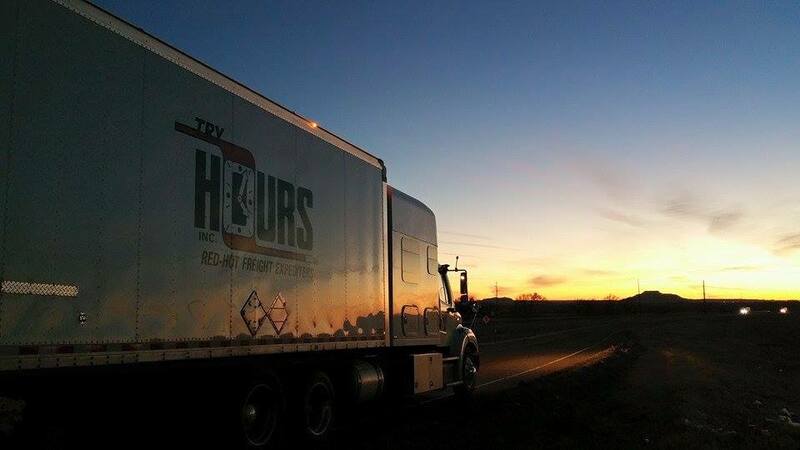 Try Hours is a full service, one call trucking company that offers everything needed for any customer to have their product picked up and delivered on time. We offer expedited services with lift gate, blanket wrap, inside pick up or delivery. We also offer cross dock, freight consolidation, shipments involving Canada and Mexico and our elite air charter services. With these different services that you offer, what kind of drivers are you looking for to build the fleet? We are looking for professional drivers, 23 and older, who have at least 1 year experience for our class b (straight truck) division and 2 years experience for our class a (tractor) division. Drivers must also have a fairly clean MVR, pass a drug test and physical, and have no felonies or recent misdemeanor convictions. Driver retention is the buzz. What kind of driver retention programs does Try Hours have to offer? We have monthly driver recognition bonuses along with safety awards announced on a monthly basis. We have additional monthly contests (Best Roadside Photo, Best Contractor Story, Best in Service Percentage etc…) that our contractors enjoy and make them feel a part of the Try Hours team. 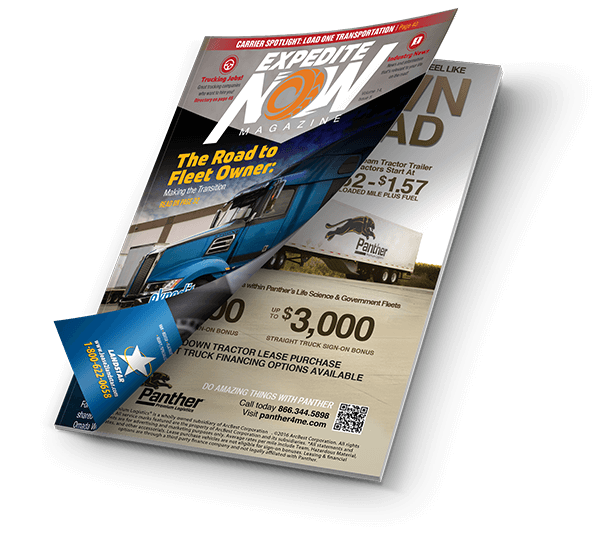 Why do owner operators and drivers want to be part of Try Hours? Try Hours knows who you are. Our dispatchers are experienced and professional, and are motivated to keep you moving. As a mid-sized company, you won’t be treated as a number and everyone in the fleet matters. In addition we offer competitive pay, we put a supreme value on Safety and Compliance maintaining a Safe Work Environment for us all. In expediting, freight emergencies happen every day. Can you recall any recent situations where a Try Hours driver “saved the day” for your customer? One story always stands out when I think about expedited freight: A Straight truck driver (who happened to be a Veteran) had a hospital bed that had to be delivered to a resident. Unfortunately, the closest he could get his truck was 1 mile away. He carried the bed 1 mile by himself to the elderly ladies house for delivery. However, to really put the icing on the cake on this one.. He went ahead and assembled the hospital bed for this elderly lady to use at her home because she had no one else to help. Try Hours and the customer were extremely proud of our contractor for going way above and beyond the normal driver role. If you had a crystal ball, what kind of freight year do you foresee for the remainder of 2015? We believe that the 2nd half of 2015 will mirror the 1st half, and remain a challenging economy. It will take teamwork and focus to continue moving forward and succeeding. What’s next for Try Hours? Refinement and Expansion. Our focus is now and will continue to be, improving on the services we currently provide to both our Internal Customers (Employees, Drivers, Contractors and Fleet Owners) as well as those provided for our External Customers. We also have continued to diversify our offerings to assist in capturing more opportunities throughout the Transportation Industry. We have definitely continued to grow at Try Hours over the last couple of years. While there have been bumps along the road, we’ve endured and have been driven to overcome those obstacles and improve in many ways. Finding success can be defined differently for every individual, and we strive to try and provide the “Roads” for any team member’s success. Stay tuned for additional opportunities, services and programs, designed to assist all Customers in finding Success.